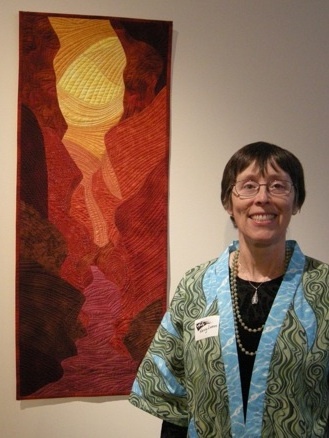 Nancy Luenn creates art quilts and mixed media paintings using appliqué techniques and fabric collage. Her work is embellished with embroidery, colored pencils and paints. She finds inspiration in the natural world and in the inner world of her imagination. Nancy is the author of 14 books for children and teens, including Nessa’s Fish, The Dragon Kite, Mother Earth and Squish! A Wetland Walk. She edited A Horse's Tale.